This week marks one year of me blogging for Wanderlust & Lipstick. It’s cliche to say that time has flown…but it’s true. I don’t feel like another year has gone by, maybe six or seven months, but not a year. It’s been a year of surprisingly few changes, especially compared to the year before when I initially left home, traveled throughout Southeast Asia and India before settling in Chiang Mai. Apparently I was settling for longer than I expected at the time, because I’m still here. 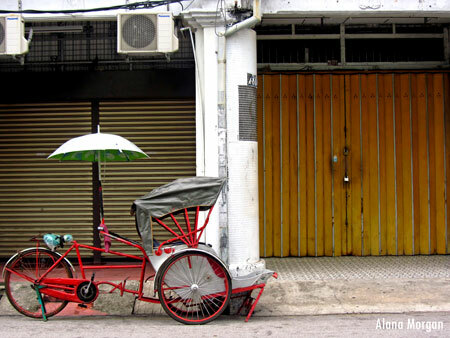 In the past year I traveled less, but became more ingrained in the day to day life here in Thailand. While I wasn’t out exploring the world as much, my personal world opened up as I got past some of the initial difficulties and frustrations of expat life, and spent more of my time with people who have lived here for a long time. The two biggest things that have shaped the year have been a relationship and job change – what I’m doing, and where I’m going, now are completely different than they were a year ago because of these two situations – which I definitely hadn’t foreseen. 1. Still be in Thailand. 2. Eat blood soup when I was sick. 3. Start to actually like Bangkok. Apparently fifth time’s a charm. 4. Start my own travel/expat blog and have it start becoming more than just a hobby. 5. Be an extra in a Chinese movie, that just happens to now be the highest grossing Chinese film. Ever. My acting career has peaked before I could even get started. 7. …and then visit his hometown to meet the mother. Terrifying. 8. Go to Malaysia for a visa run because I quit teaching. 10. Be asked by a very earnest 11-year-student if I could spend the night. There were plans for movies, games, dinner, even going to the pool. 11. 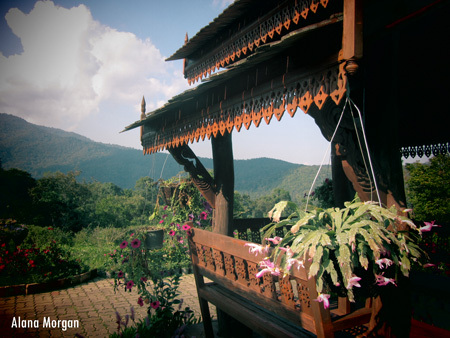 Find my favorite place in Thailand. 12. See a sign for a Seattle bar while I was sitting at a Chiang Mai bar. Go figure. 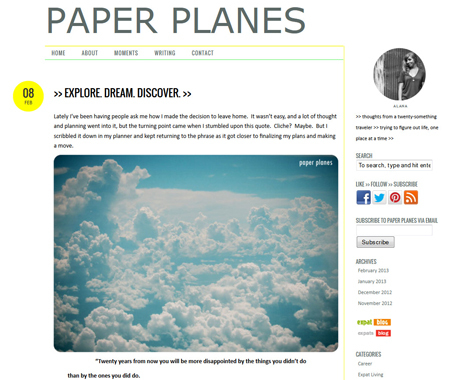 One year of blogging down, two sites to now write for, and lots of changes coming…thank you for reading and if you like what you see here, please take a moment to check out Paper Planes. You can also see what I’m doing on Facebook and Twitter, or sneak a peek at what’s going on in my travel head by following my Pinterest boards.